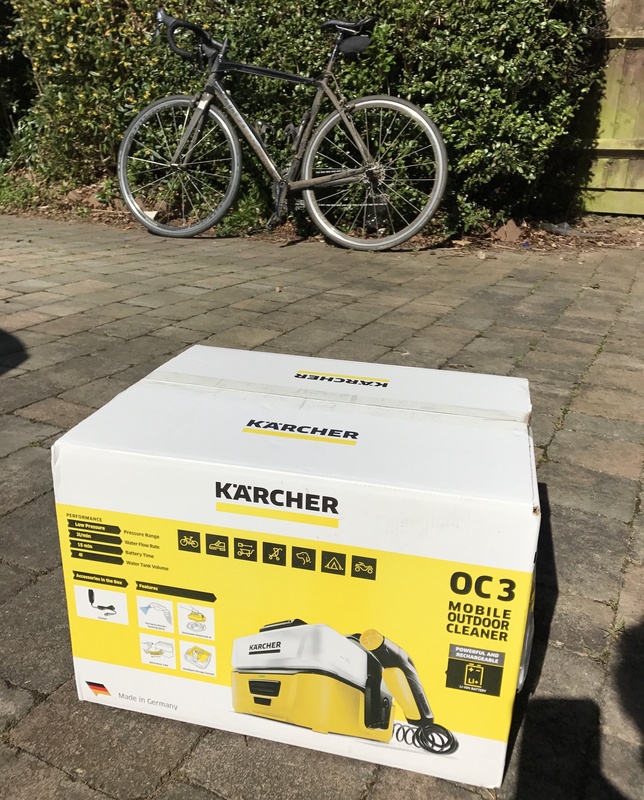 Kärcher OC3 Mobile Outdoor Cleaner – The Perfect Bike Cleaner? Something slightly left of field for today’s post. 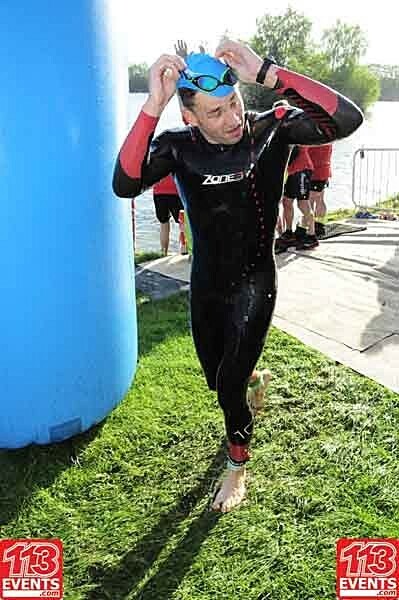 A blog about triathlon and a review of a pressure washer is slightly odd I agree. However, I was recently at the London Triathlon Show and spotted the Kärcher OC3 Mobile Outdoor Cleaner at their stand. I will admit I’m not the most dedicated when it comes to cleaning my bikes. 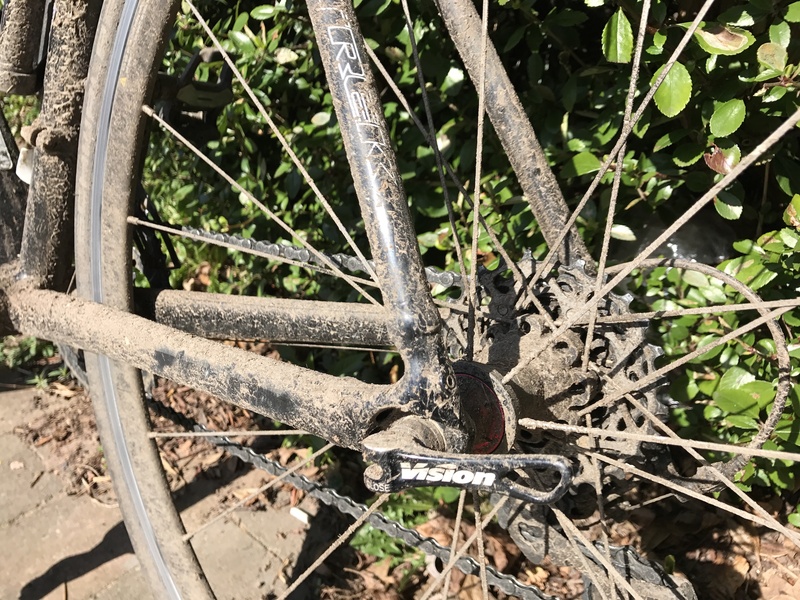 Often due to the fact that if it needs cleaning it’s because it’s been raining and thus muddy. Consequently I’m muddy and want to get inside and get clean and warm. 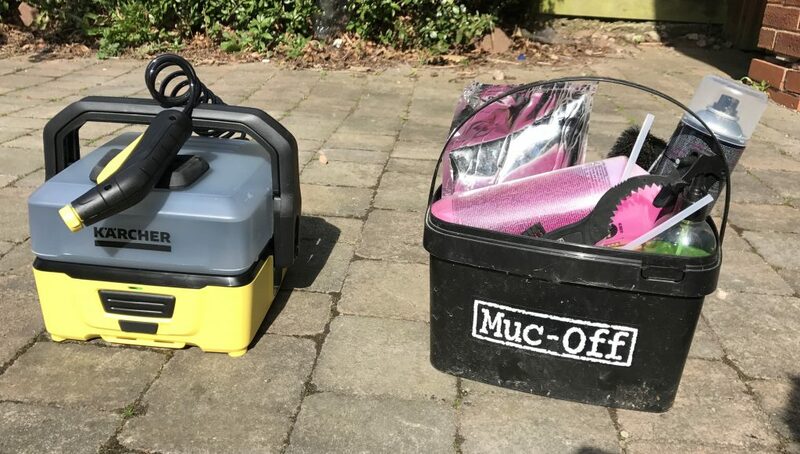 I have dutifully purchased the Muc Off Bike Cleaner Kit and can’t fault it. However it’s more effort than I was looking for. 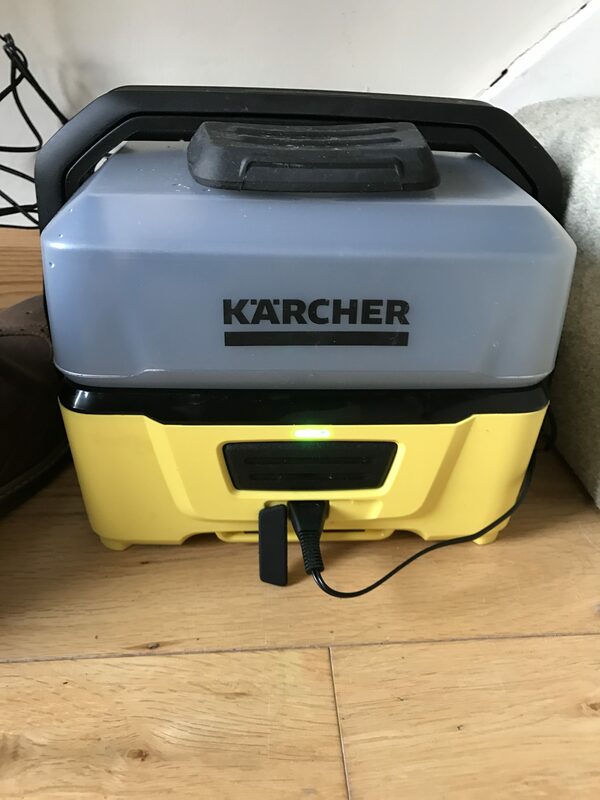 Enter Kärcher with the OC3 Mobile Cleaner. 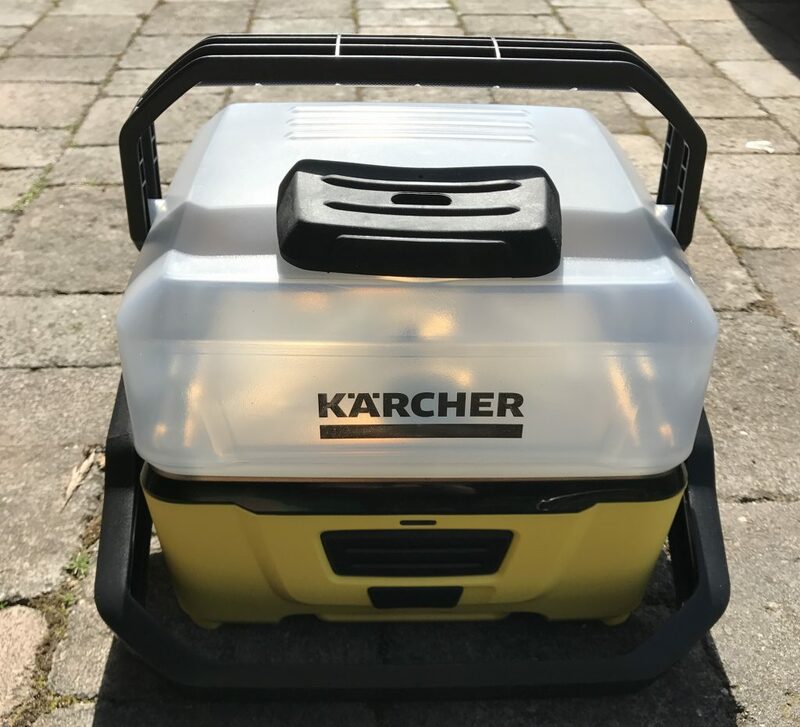 At a basic level it’s a lower pressure version of the renowned pressure washers from the brand. The biggest differences being that it’s battery powered and eminently portable. 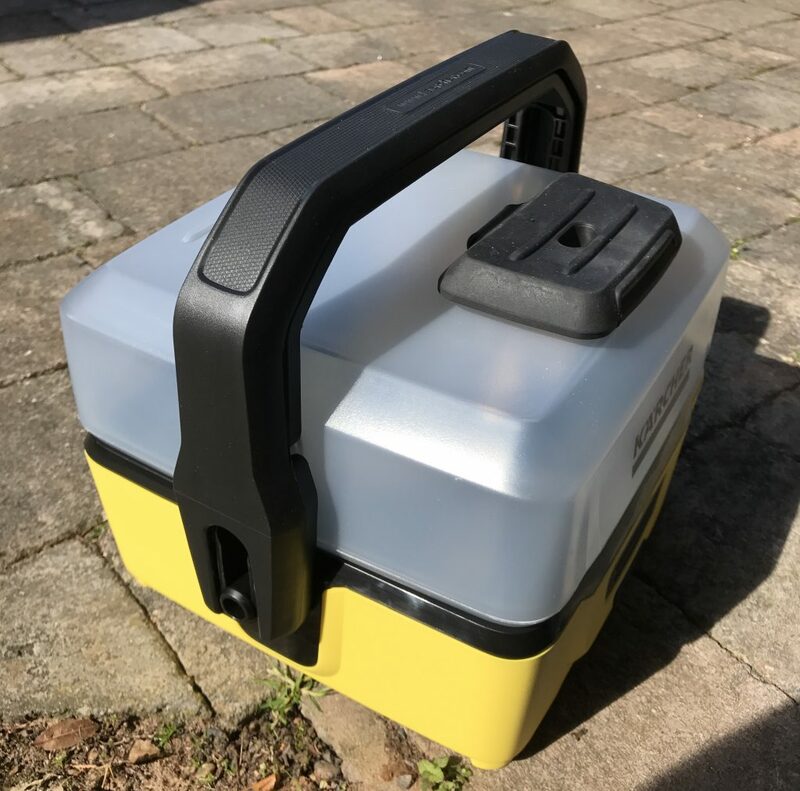 It weighs in at just over 2Kg (without water) and is completely self contained – the hose and water container are integral to the unit. The first test was an impromptu test of the strength of the shipping box. Being a cat, she loves a nice new box… she’s also a fairly hefty breed. The box handled it effortlessly! Inside the box, is a fully assembled unit. 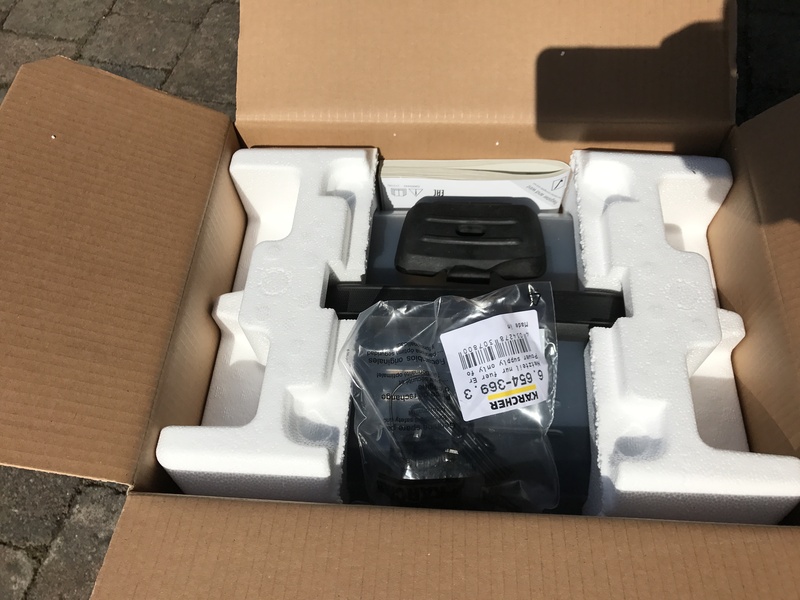 The only additional items further to the packaging are a power supply and an instruction manual – being a man, i’ve no idea what’s in this! The power supply is a simple 3 Pin plug, with the transformer built in. It’s a moulded unit though, so each country will have it’s own specific adaptor I assume. What would be handy is a 12v charger for use in cars. Whilst it would remove some portability, it could come in handy in certain use case scenarios. Personally I didn’t find any issues with battery life, managing to clean the bike in the pictures you’ll see below with the power it arrived from the factory with! The unit is unique and not a figure eight lead as it may appear. 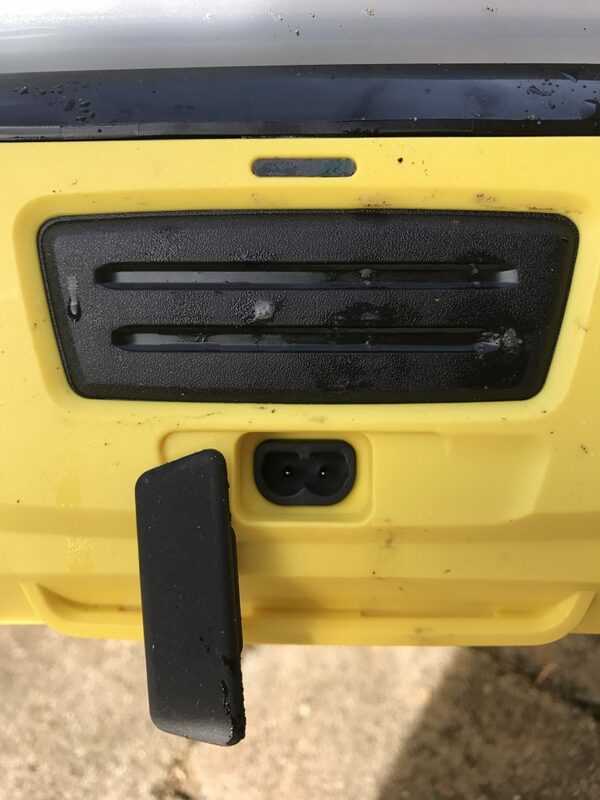 The plug fits in behind this waterproof seal when charging is required. The green light indicates that the unit is charging. This could possibly be confusing as there is only one light. In one colour. However it’s unlikely you’d be confused with charging or using the cleaner. 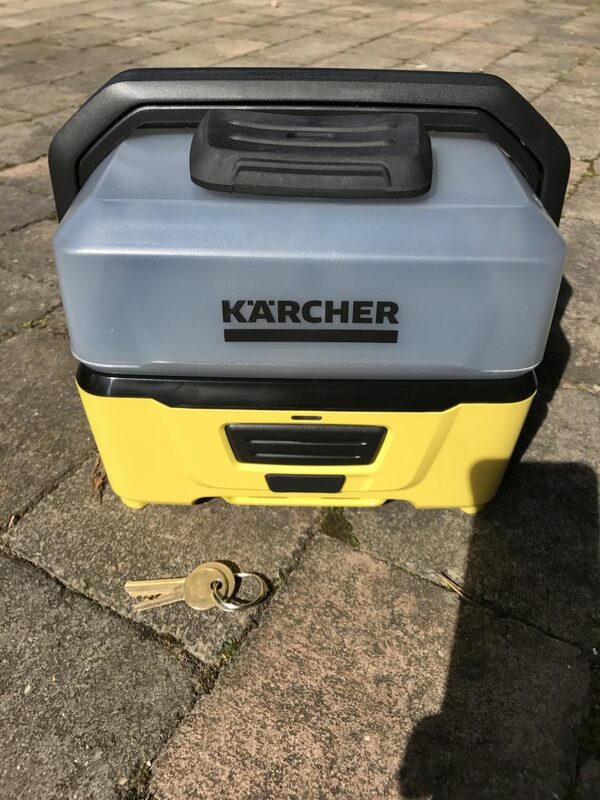 The unit has a capacity of 4 litres, with handy markers in case for some reason you need an exact quantity. 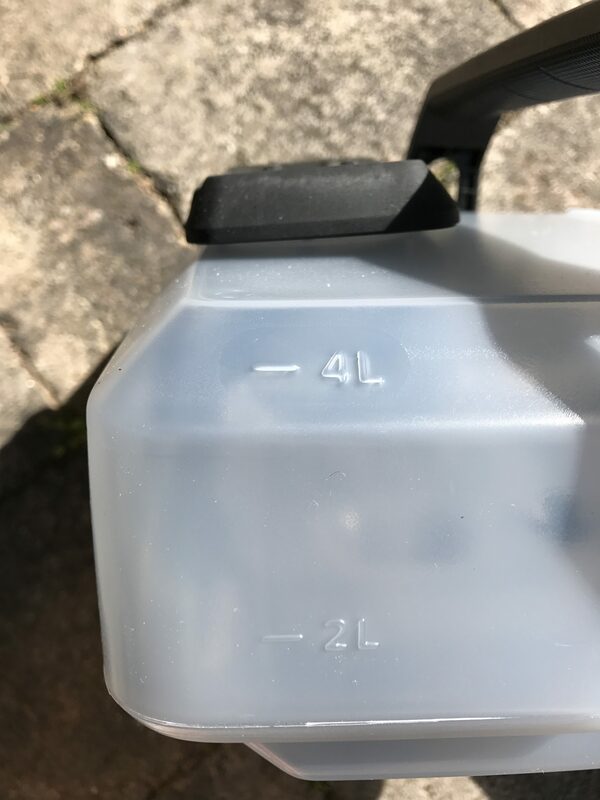 It’s a decent capacity and a full 4 litres is perfect for giving an adult bike a quick hose down after a ride. It needed more for the challenge below. I’ve no idea why I figured keys were good for scale. But I couldn’t lay my hands on a ruler. Hopefully it’s a useful indicator for some! Below is a short video demonstrating that whilst it may be fiddly, it’s definitely watertight. Hopefully it remains so over time. The larger, top handle secures the water reservoir in place. 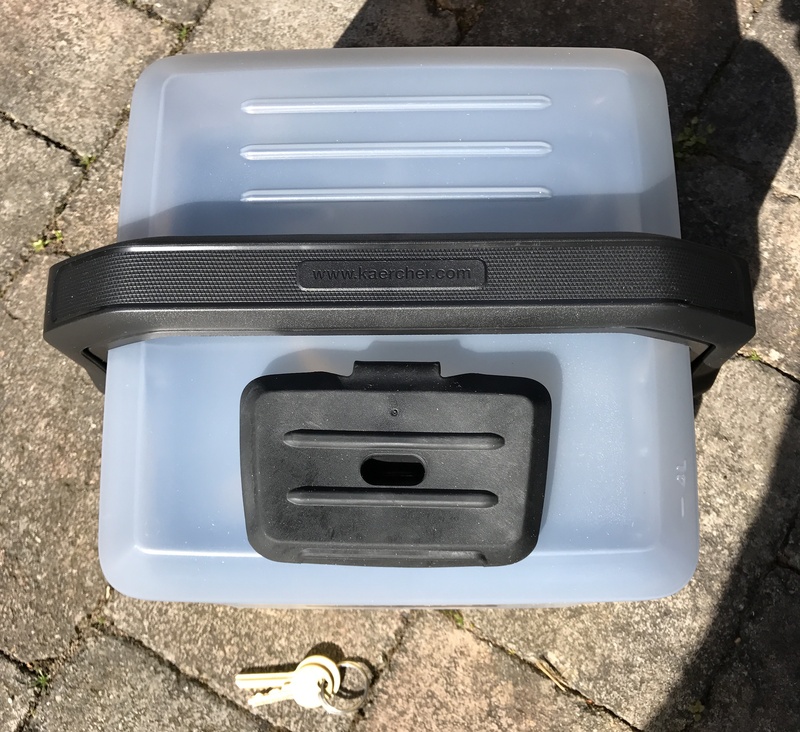 I haven’t tested it yet, but I am confident that with this secured, you could fill the unit and travel happily with it in your car. It’s also very robust and I’m sure will stand the test of time. It locks down in place with this strong bracket. As I said above, everything you need is contained within. The little yellow bit is the nozzle that fits in the end. Personally, I’d rather it was permanently attached as the pressure is non-existent without it. You don’t use it if you have any of the accessories, such as the brush, as they attach directly. 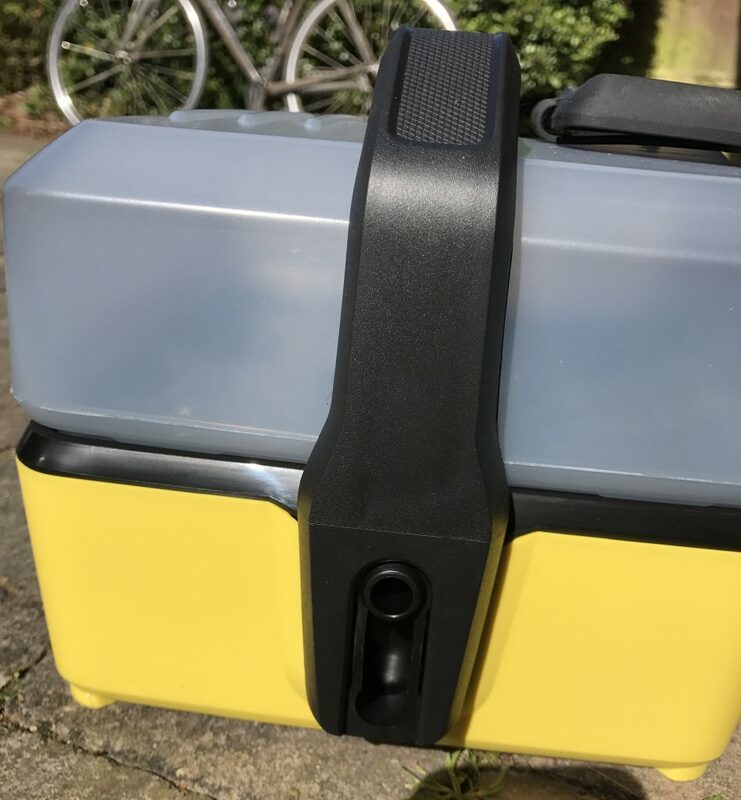 I’d quite like the bike accessory box as it’s a perfect fit for my needs. 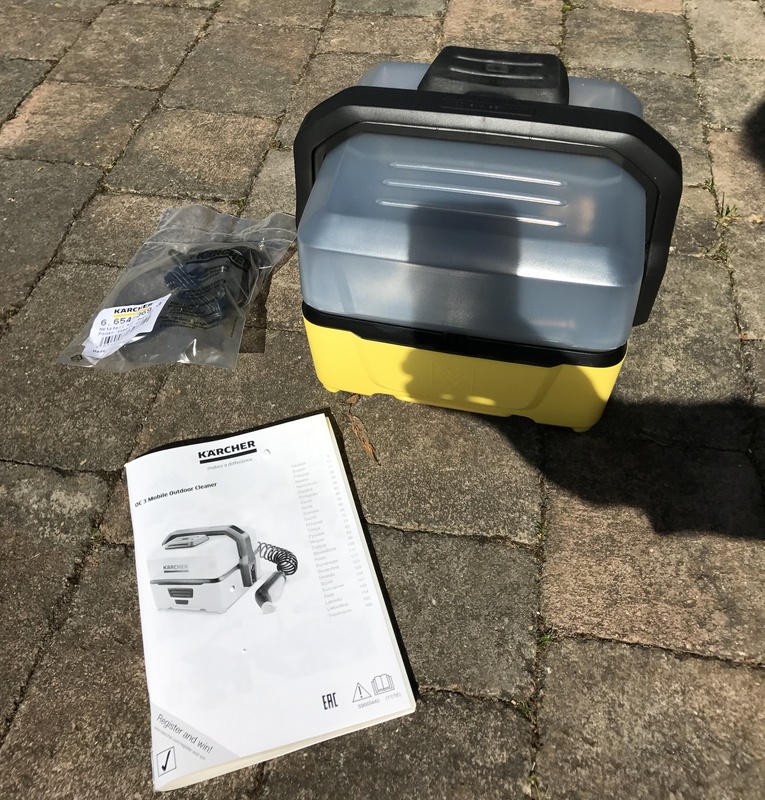 Below is a quick video showing the unit and the accessories contained within. 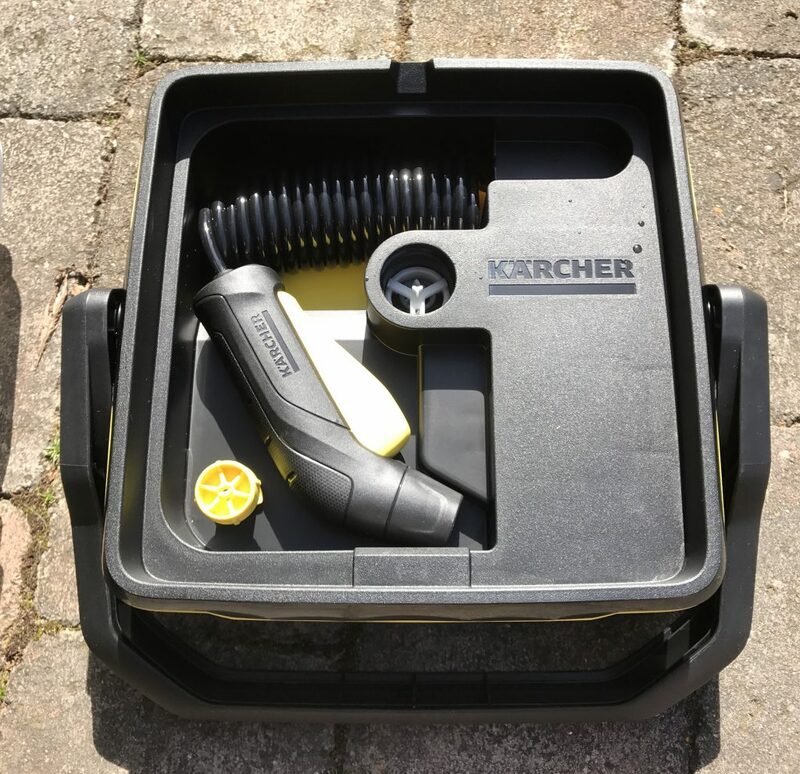 On the left we have the Kärcher OC3 Mobile Outdoor Cleaner. On the right my current system from Muc Off. I’d like to add that I have no issues with the Muc Off stuff, in fact it’s great. But, as I said above, it takes time and I’m fairly lazy when it comes to cleaning my bike! I still need the chain cleaner and lube etc too! The extent of the challenge ahead, and my sheer laziness is visible below. 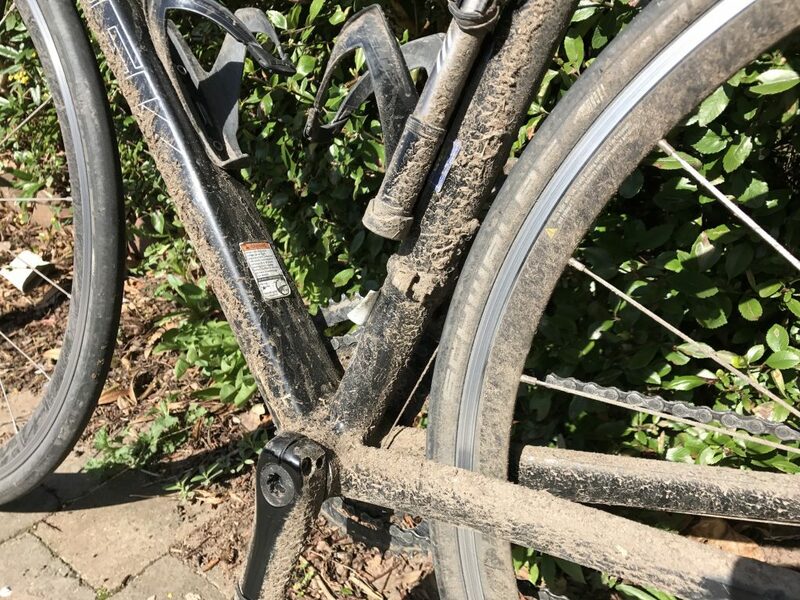 In my defence I don’t usually let my bike get this dirty before cleaning it but I was waiting for the unit to arrive before cleaning it. 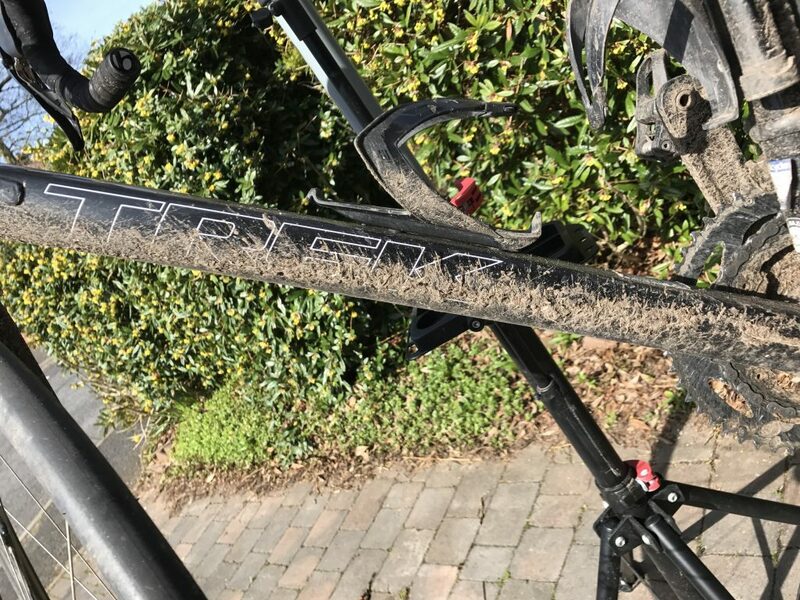 Due to a short delay the bike got dirtier…. I also wanted to demonstrate the cleaning power as there had been some skeptics at the London Show. Kärcher OC3 Mobile Outdoor Cleaner – A Filthy Bike! And below a video demonstrating the power of the cleaner. This is with no detergent or pre-soaking of any sort. Just the cleaner, on the bike from the above pictures. I’m seriously impressed! 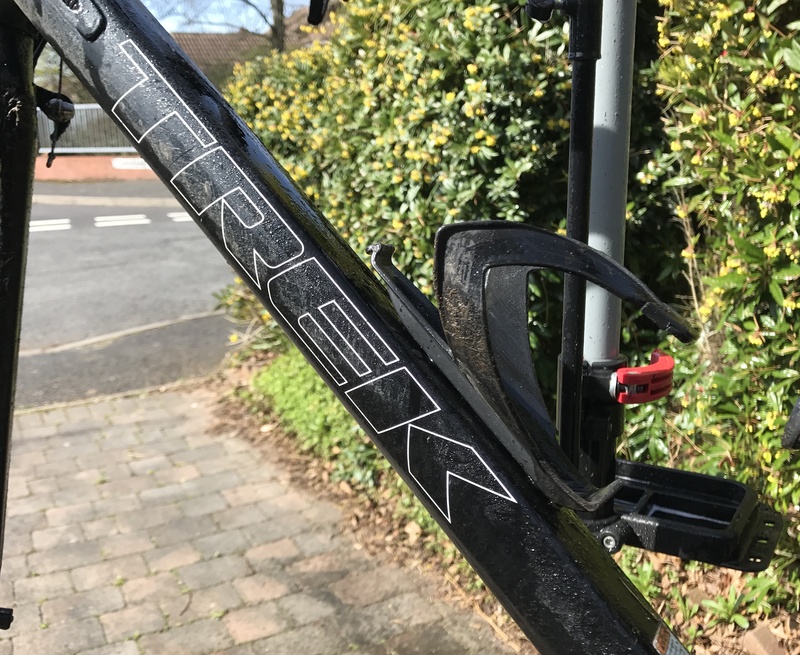 I’ve used the cleaner again since and it’s perfect for a quick rinse down after a ride. 4 litres is about perfect to clean it quickly and it takes minutes. 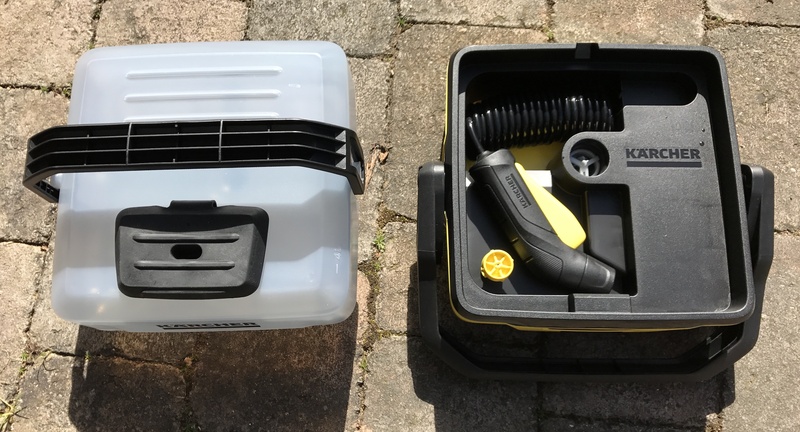 I’d love the full bike accessory box as at times a detergent cleaner and brush would be helpful to remove all of the dirt. To answer my question at the top. I think a qualified yes, it is the perfect bike cleaner. 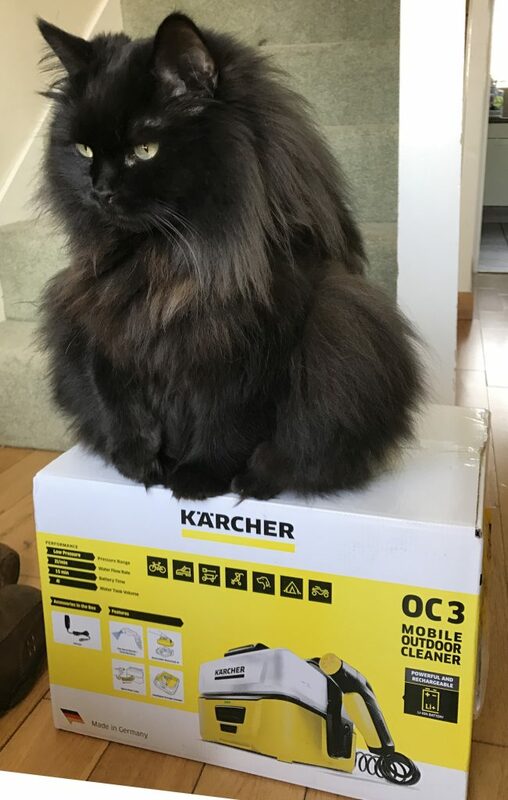 Combine it with the bike accessory box and it genuinely is. Even as an out and about unit or for a quick rinse down though, it’s so much better than the manual method. I fill it up before I go out so I can rinse the bike down when i’m back. Used as a portable unit for say, Mountain Biking, i think it would be ideal. You could hose the mud off on site and then clean it more thoroughly when you got back. I heartily recommend it though – go buy one! 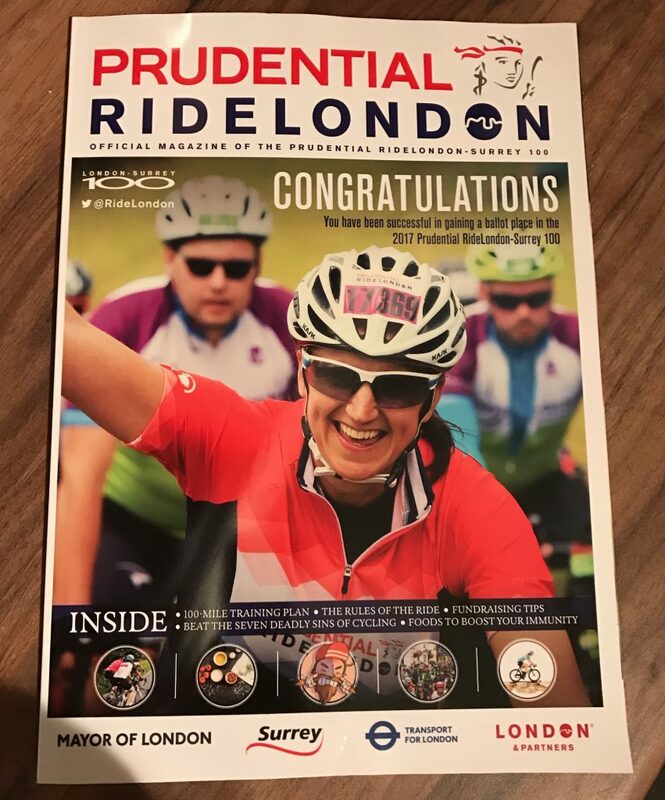 After my limited success in gaining ballot entries to significant sporting events in London, I didn’t expect much from my RideLondon application. A group of friends had also applied, with the ill conceived idea of us riding together. As it stands no-one else I know got in, but I did! A huge difference from my success rate with the Marathon! 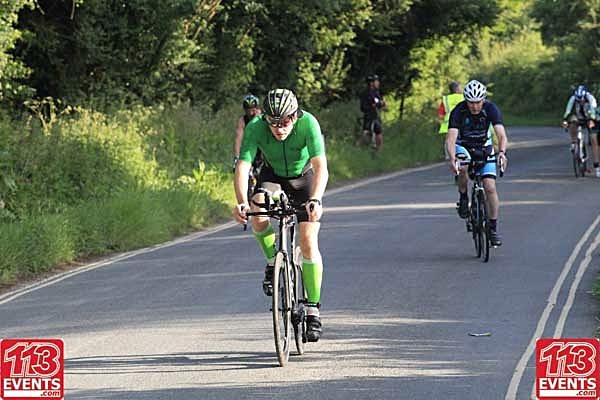 So, on Sunday 30th July 2017, i’ll be lining up with a plethora of other Lycra clad folk for a lengthy jaunt around London and Surrey! 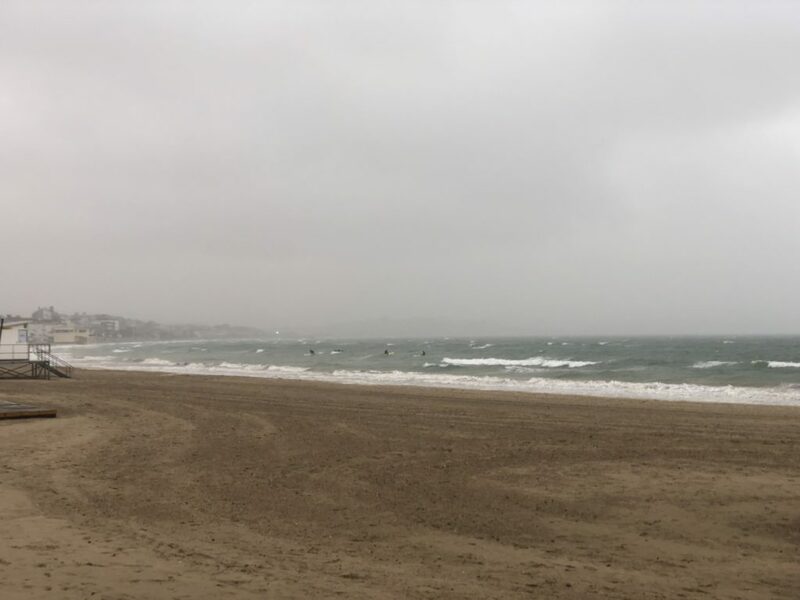 I’m sure this will come in handy as useful endurance training for Weymouth too. Fortunately it turns out that one friend is taking part as she has a deferred place, so I may not be totally alone. From everything I’ve read and heard, it sounds like quite an event. 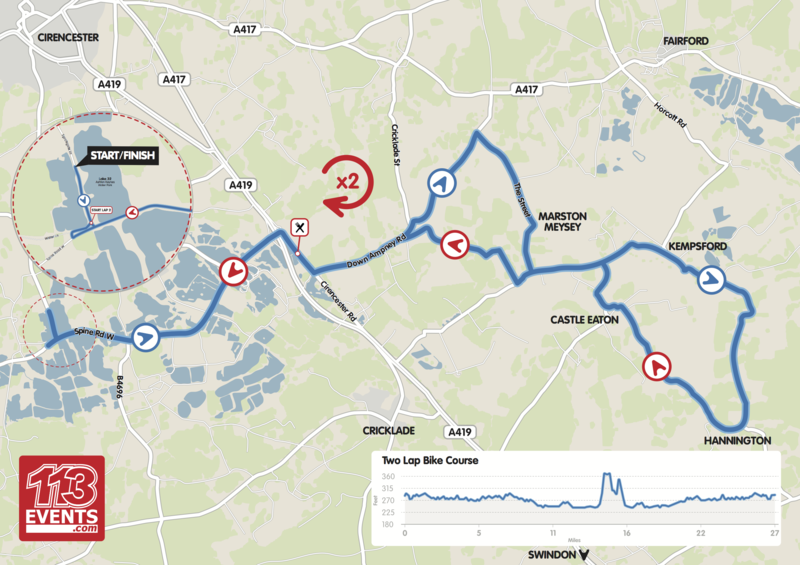 Fairly flat and fast to start, lumpy in Surrey and a steady descent back into London to finish. 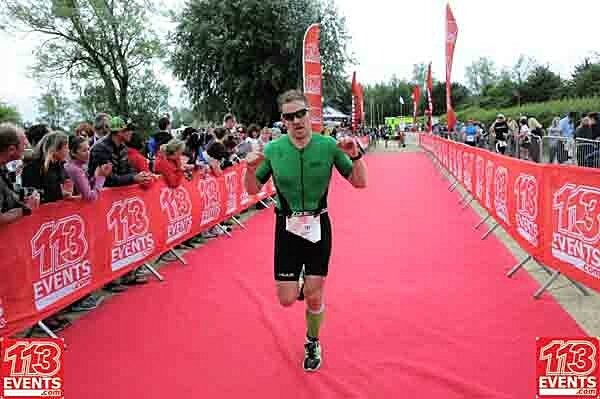 As you may recall, my mother tragically passed away just before Ironman 70.3 Staffordshire last year. We now know the cause of this to be a heart attack. 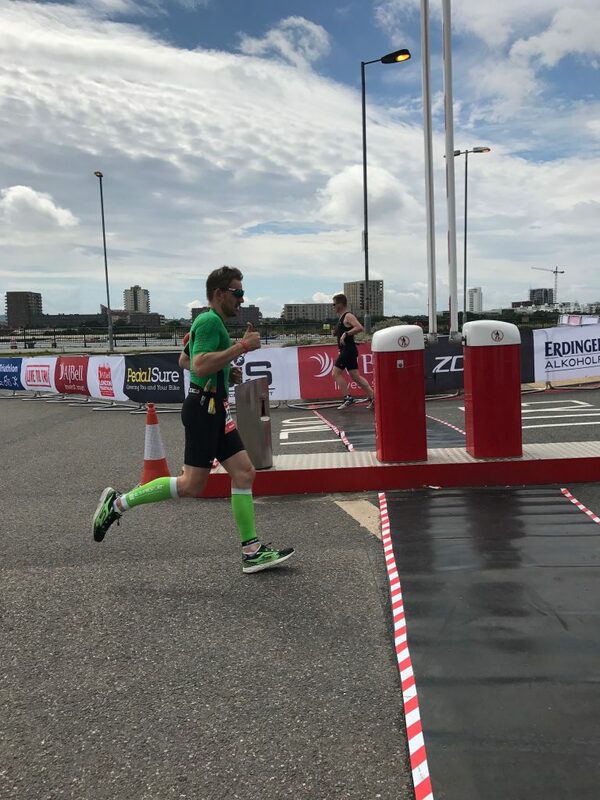 As a result I am raising money for the British Heart Foundation. By supporting the life saving research that they do, I hope can prevent others having to go through the pain my family felt last year. I have set up a JustGiving page where hopefully many of you will be willing to make a donation. 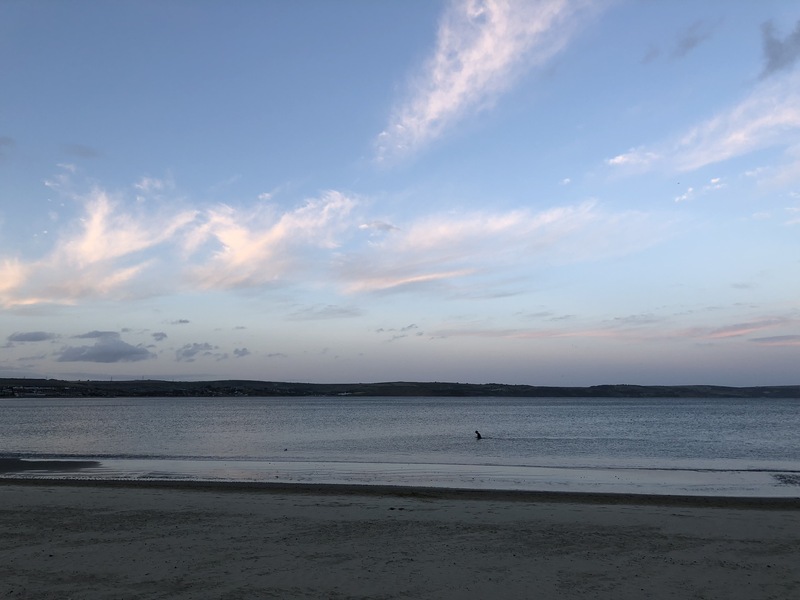 Apologies dear reader(s), I feel like i’ve neglected my blog for a while… and for no particular reason! When I started this it was initially a bit of a training log to myself but I’ve since tried to make it into a bit more than that. The sad reality of the last few months is that I’ve just not been up to that much other than training! It’s that time of year where all things are crossed as I’ve applied to become an ambassador for my much loved ashmei brand. Selection is taking place now, with the ambassador day taking place on the 25th. Hopefully i’ll be successful this time, as the new gear is looking very impressive! 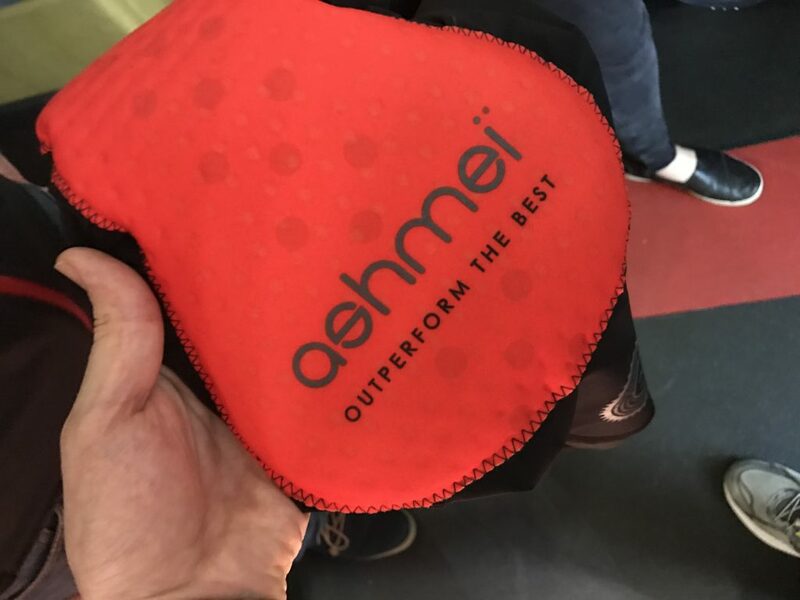 ashmei bib shorts v3 – new squishy padding! Having not taken part in a run for a while, when thetrinerd spotted this and suggested that we might want to do it, I agreed. 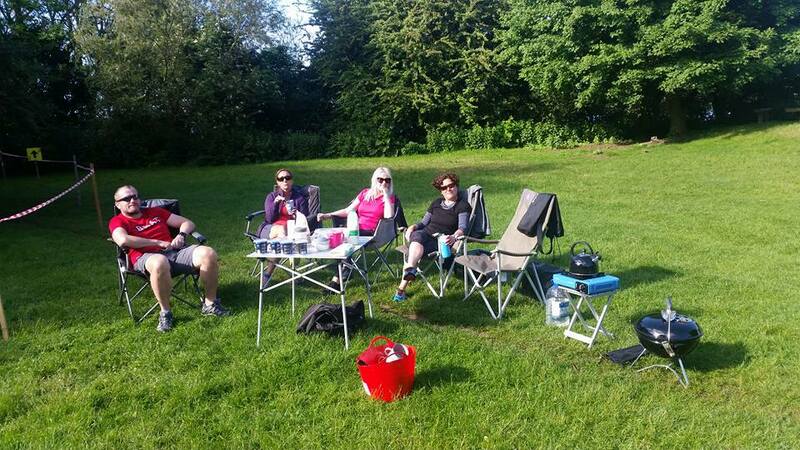 It was a local charity event for the Stroke Association, taking place at Hagley Hall; with distances of 5, 10 or 15k. Obviously, we went for the 15k option. There was no information online so we were in the dark as to what to expect other than it was off road and ‘tough’. Naturally being the brave souls we are, we scoffed at this. It was very muddy, initially very rainy, and as can be seen from the above, a touch on the hilly side! Probably one of the toughest courses I’ve run. 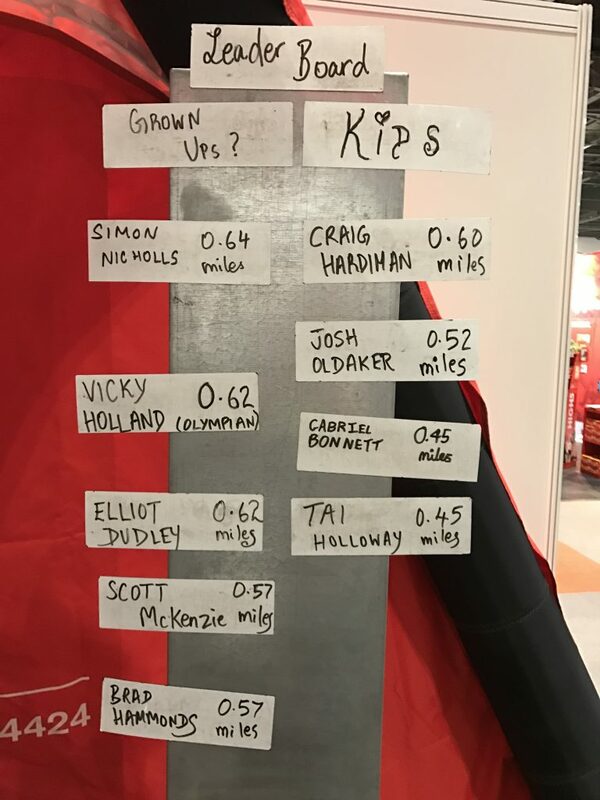 It also showed that whilst I’ve made big improvements in my running, my calfs are still not quite the solid objects I would like. 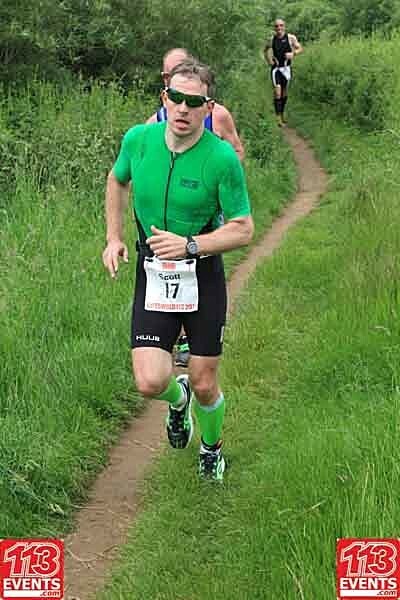 Unfortunately part way round Lap 2, I felt a sharp twinge in my right calf. With my sensible head on, I stopped and we walked back and called it quits at 10k. It was a shame as whilst it was tough, I was enjoying it and we were right at the front. 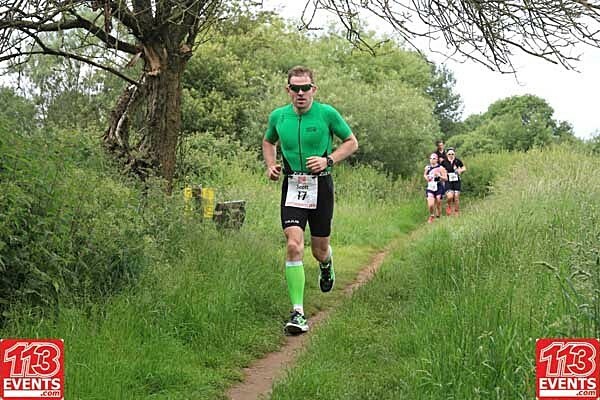 Footwear was clearly an interesting choice too – many competitors were wearing standard trainers, I’ve no idea how they got up the hills! I was wearing my Merrell All Out Charge that I purchased for the ashmei day. They just about held up, but thetrinerd’s newly purchased Inov-8 X-Talon 200’s were significantly better in the muddy stuff! Fingers crossed it’s not too serious an injury and I can be back to normal running soon. 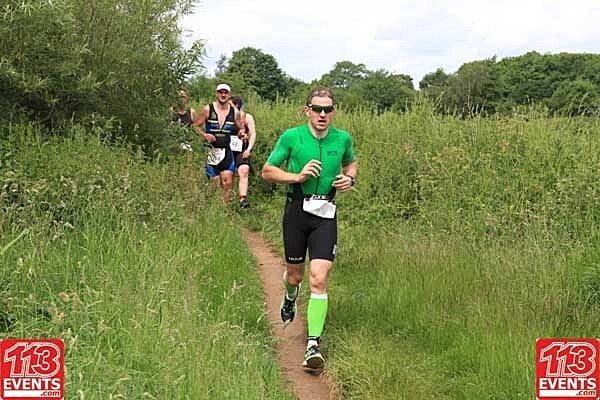 I clearly need to incorporate more off road running though, and some serious hill work – both up and down! Quite excited about this one, and something that predates many blog posts! 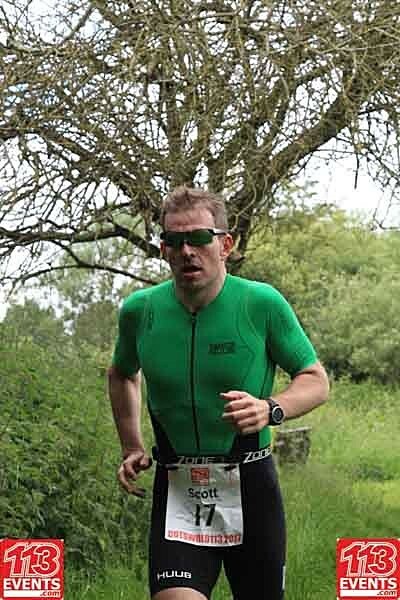 When I bought my Scott Plasma, it was always my intention to upgrade from the base model. The wheels were changed quite quickly, the gears had to wait. 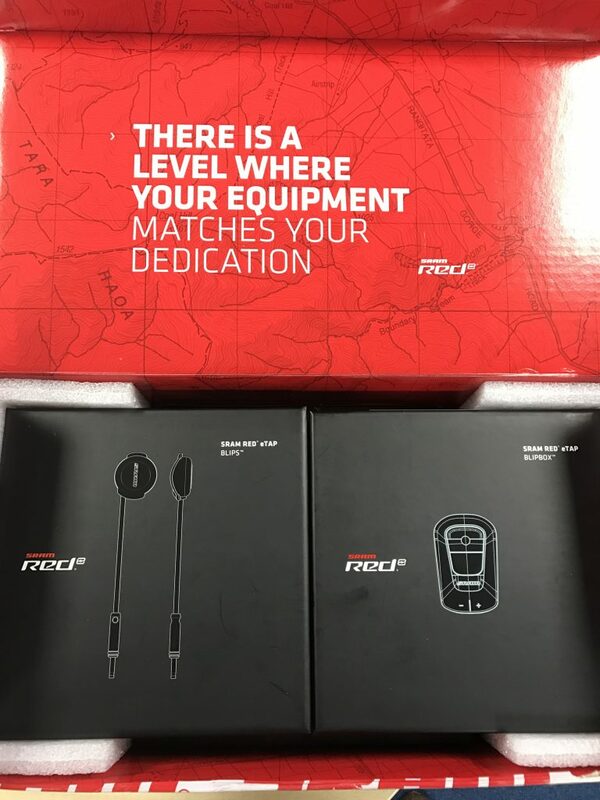 Finally, after placing an order in September last year, my eTap finally arrived a couple of weeks ago. I weighed up my options, and am aware how solid and reliable Di2 is, something about eTap just appealed more. 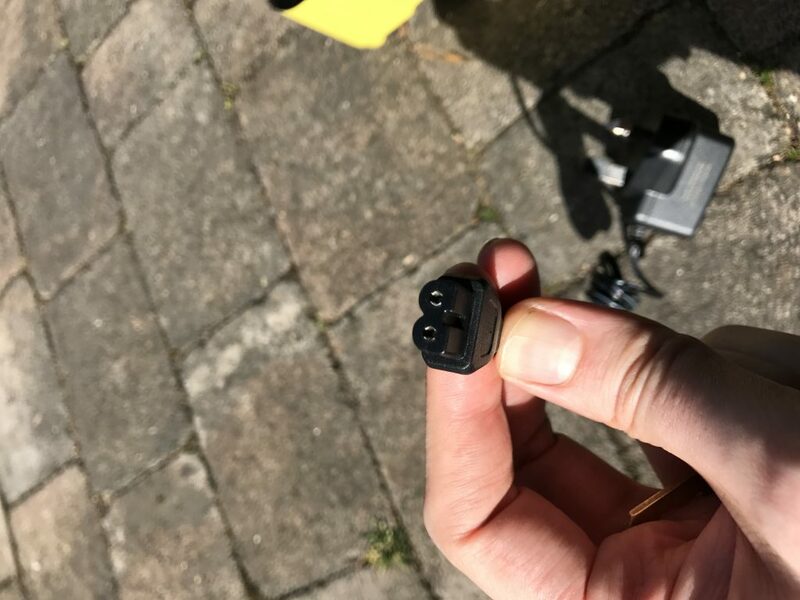 Certainly the ease of install and thus re-assembly when travelling was a big appeal, but everything just excites me about eTap! 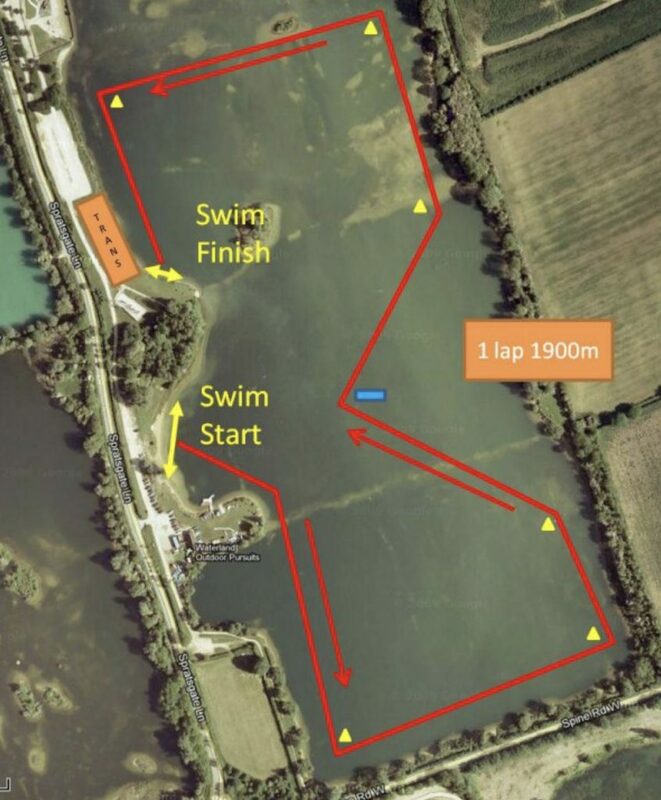 Next challenge is fitting it… hopefully in time for my first race! 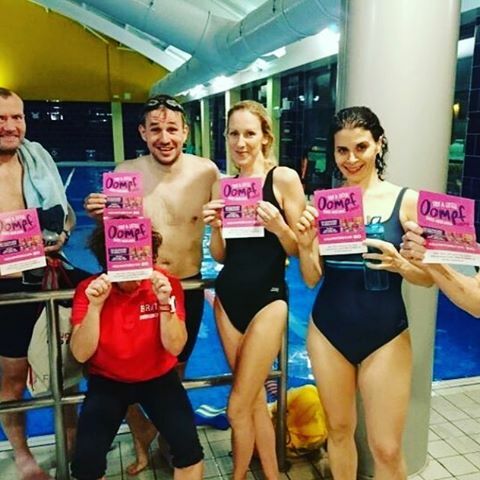 In continued tradition, we once again acquired free tickets for a Triathlon Show. 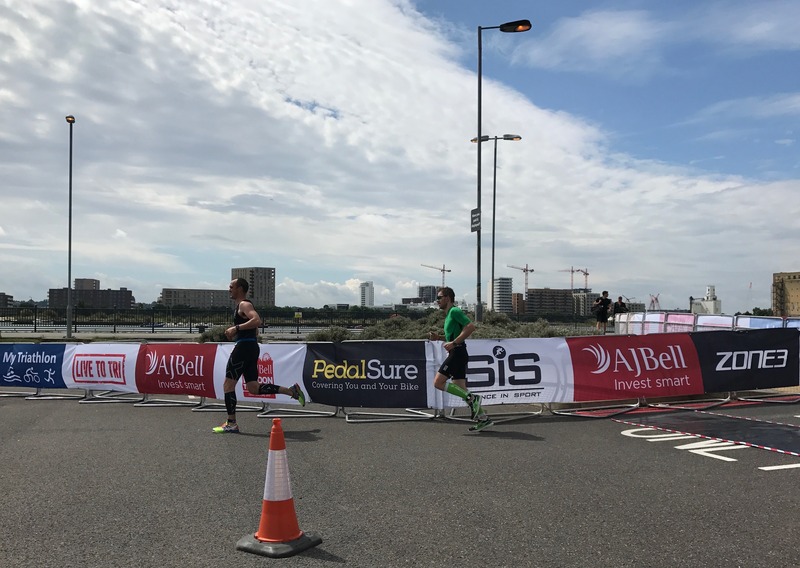 This year, 220 Triathlon, had opted to become title sponsor to the London Triathlon show rather than to host their own. Tickets included entry to the Cycle show and Outdoor Show also. 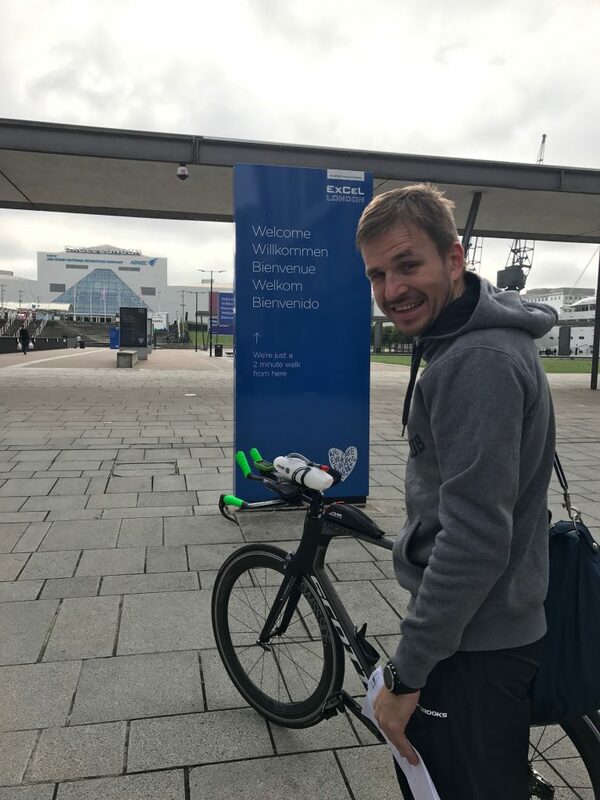 It was hard to differentiate between the Triathlon and Cycle parts, unsurprisingly, but the Outdoor Show was a bit of a non-event! It was good to meet up with Darren from Pedalcover, who we met on our outing to meet Helen Jenkins last year. It was through them that we actually got the tickets too – thanks Darren! 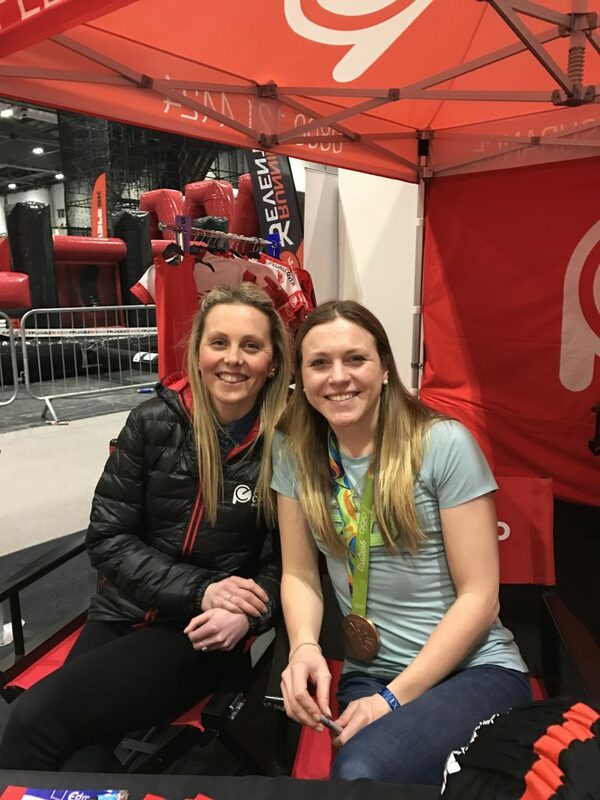 We spent a fair amount of time on their stand, from blending smoothies on a static bike, to meeting Triathlon royalty; present and future! 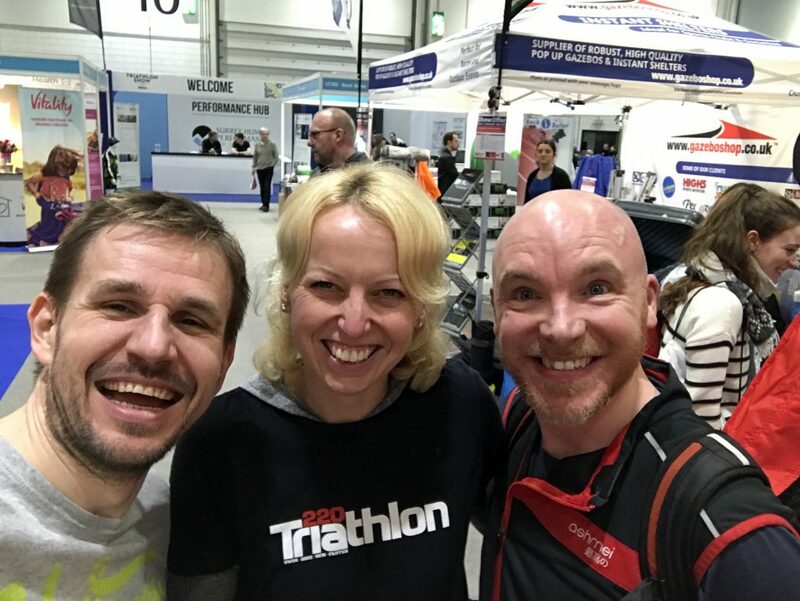 We even bumped in to the lovely Helen, Editor of 220 Triathlon. 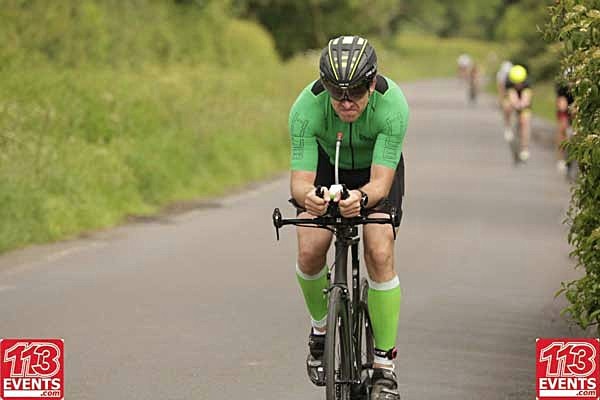 Smoothie Blending on a Bike – I’ll take that position! 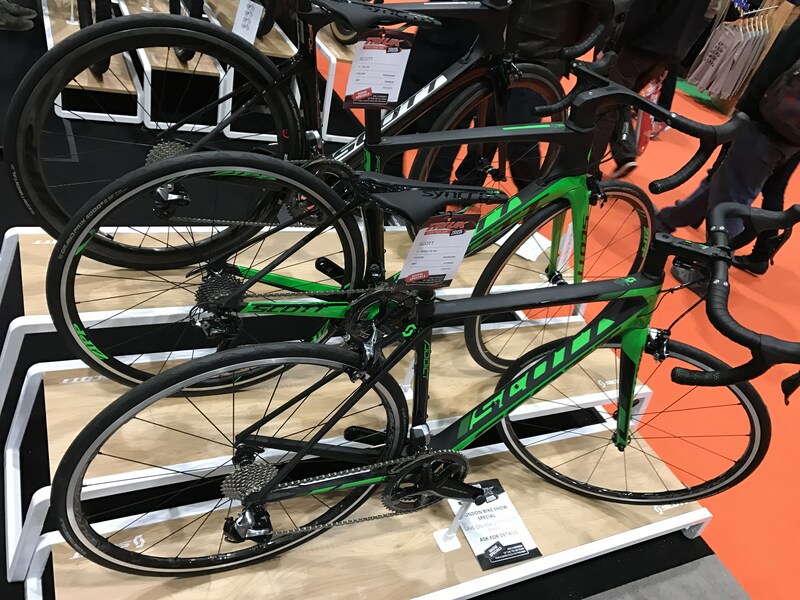 I also spotted a couple of bikes that for some reason appealed… odd that despite the fact my Tri Bike is a 56cm, upon checking, I’d need a 54cm in the road bike range. Oh well, good to know! 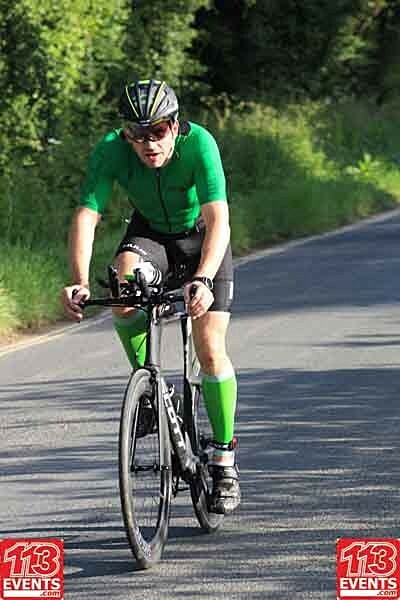 Having sat on them briefly, i’m erring toward the Foil too #aero. Ironman 70.3 Weymouth. This is my A Race and everything is geared up to a good performance here. Fingers crossed. Cotswold113. 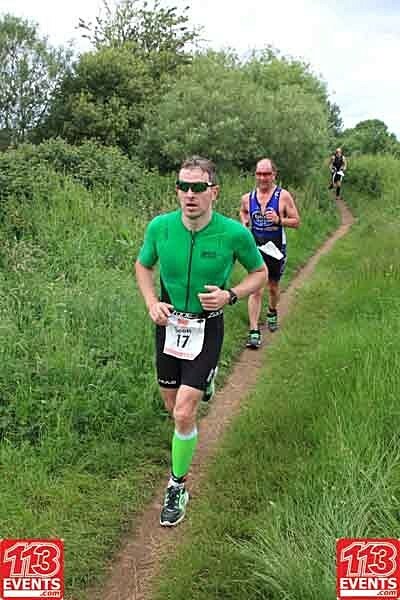 I’ve marshalled at the Full Distance event a couple of times and as a result pretty much got free entry! It gets great reviews, the course is flat and thus should be a form tester. As you know, I have been a coached athlete since October last year. This has been an enlightening period for me and I felt it was time for a bit of a review. One of the biggest issues I faced when following a generic plan was that of exhaustion. I blindly followed the instructions and constantly found myself very tired. With no-one to talk to, it’s hard to understand why and what you should do about it. Since having a coach, one of the biggest benefits has been having someone to discuss minutiae with. How a session went, what you should do if you’re just not feeling it etc. It’s been very refreshing! Secondly I’ve also found that whilst I am working very hard, the gains have been significant; across all aspects. I’m tired, as the sessions are hard, but with the structure of someone who knows what they’re doing, I rarely find myself beyond the brink. If I do, we talk and we adapt. Simples! I’ve always been a fairly strong swimmer, but it’s fair to say also a little lacking in technique. I’m fairly resigned to the fact that I will never have a decent kick, but hey it’s something to work on. I’ve seen huge progress in the past few months, with times (for all they matter in training) tumbling down. Shaving 10 seconds off a 400m PB AFTER a 1900m set was a highlight. Equally, almost a year apart to the day I did a 20 x 100m set and each 100m was 15 seconds quicker. Fingers crossed this form continues over to the outdoor stuff! 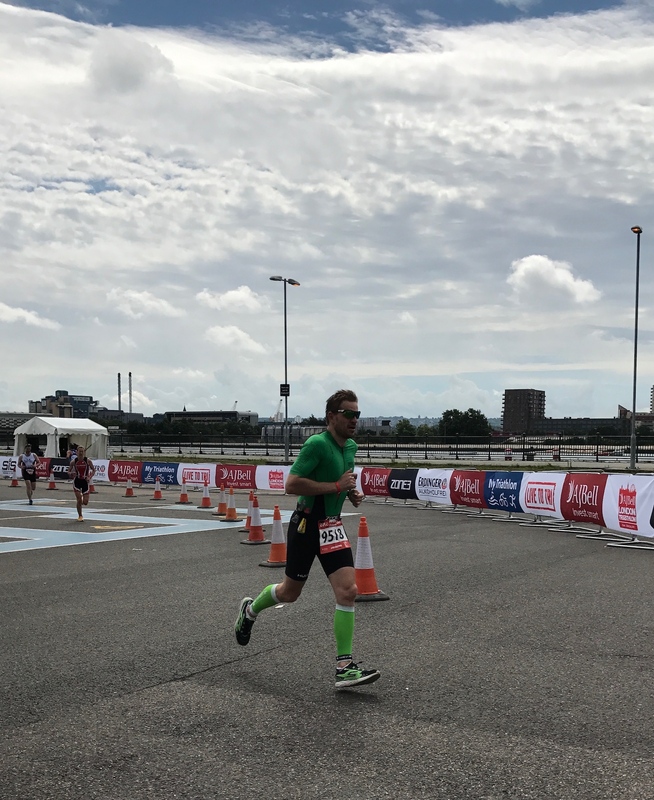 The single biggest area of progress in my mind has been in my running. 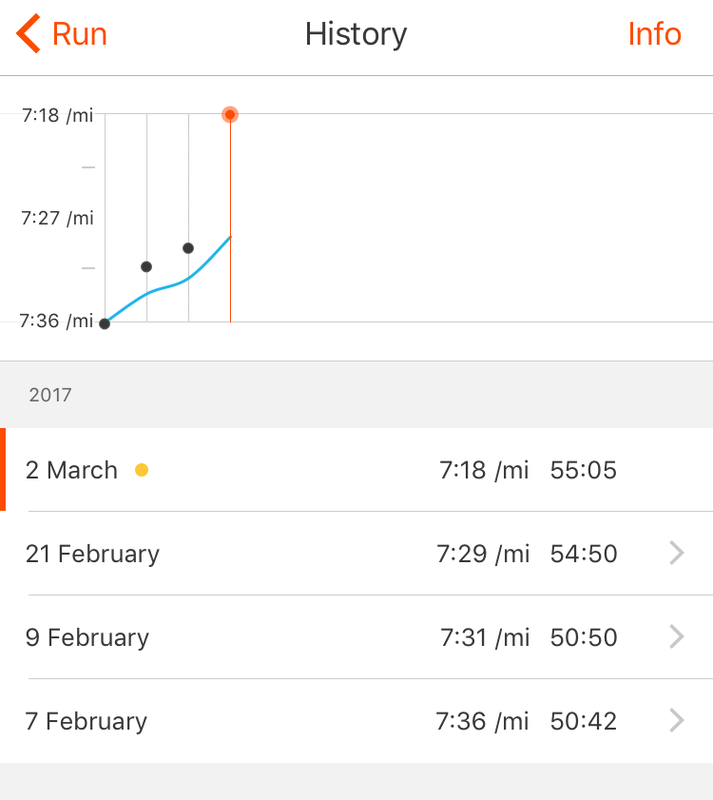 Since changing my shoes I have seen massive gains in my running performance. I still don’t know if it’s psychological or a genuine change from natural running, but it’s working. 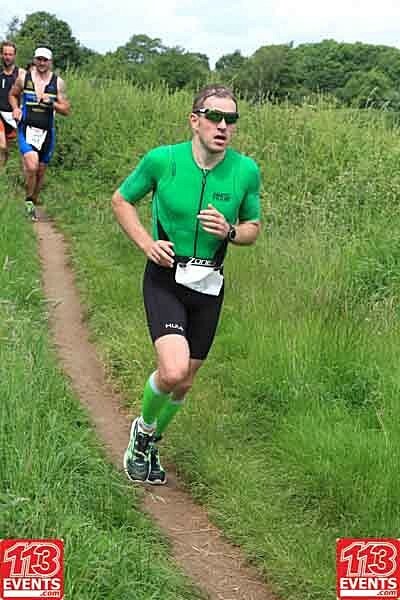 I am now comfortably running in excess of 10k in every training session, from easy runs through to tempo sessions. Most importantly I’m able to run faster and further with it. These are harder to measure. Most of my work over the winter has been, like many, on the turbo. I’ve done a few rides outdoors and initially didn’t feel like much had changed, probably due to the point in the training block. Recently i’ve done a couple of solo rides where things have just clicked. I was able to zip along at speeds that previously were only really done when in a large group on a fine day; rather than alone in a hurricane! Time will tell with this one, but things are looking good! 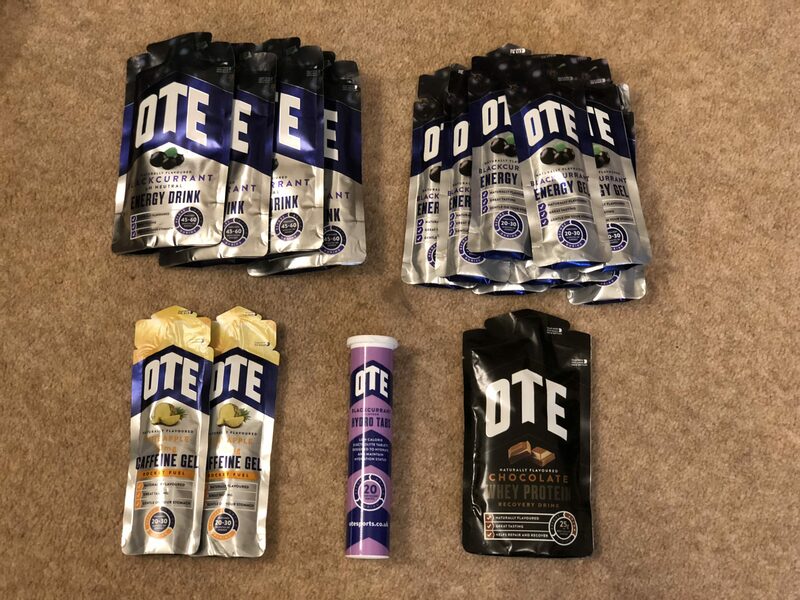 One thing I did try recently was some different nutrition products. I’ve been a Science in Sport user for some time and figured that the off season was a chance to experiment. 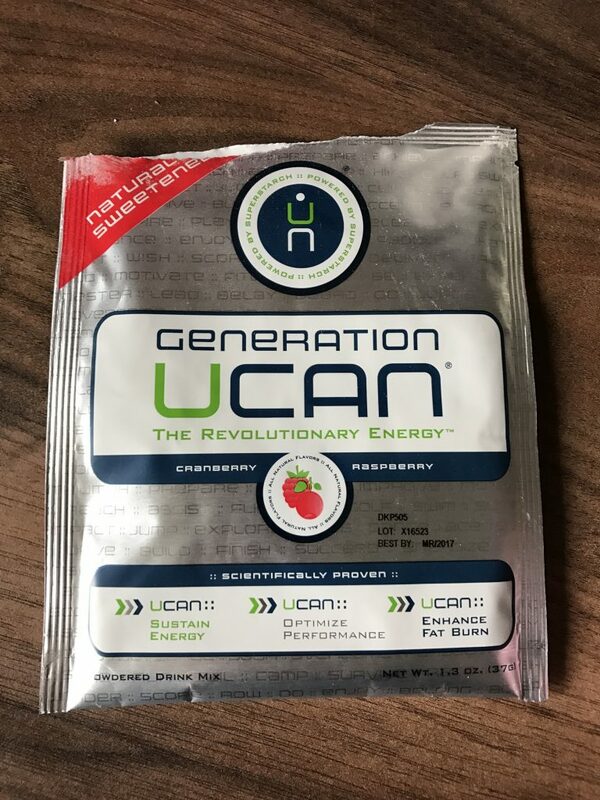 I won some Ucan at a show last year but hadn’t got round to trying it. First impressions were that whilst it seemed good from an energy point of view, (although tricky to tell off one ride with so much else that has changed), the consistency isn’t great. It was reminiscent of certain gels, I felt like I needed some water to wash it down. 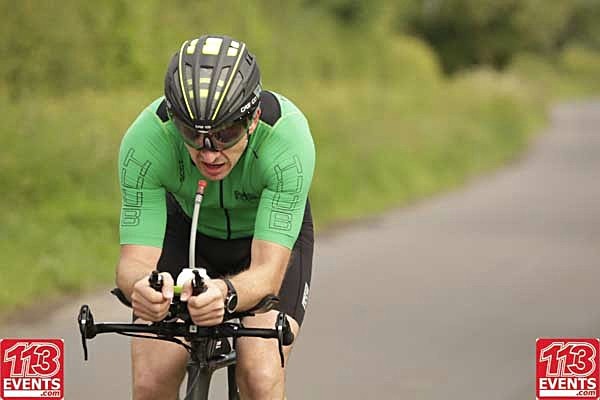 Not ideal from the hydration element of your fuelling strategy! So things aren’t looking good for our relationship! We’ve recently entered another level of training, so we’ll see how that goes. But fingers crossed, things are looking good for the season aims. I’ve had a fairly long term relationship with Brooks. Since deciding to get back into running for my ill fated London Marathon attempt, Brooks were my go to shoe. That appears to be over. Welcome Skechers! More specifically, welcome the Go Run 4 – 2016. I had looked at them a few times online, mainly due to the awesome colour options! But, i’d ruled them out on the grounds of having a very low, 4mm, drop. Based on my previous bad experience with low drop shoes, Brooks Pure Flow and Pure Cadence, I had assumed that low drop was bad. I can’t pinpoint when I first started having calf problems but it was around the time I started using the Pure Flow. As a result, I moved to a more cushioned, 12mm drop shoe, the Ghost 8. During all of this time, I continued to do what I always do, research, research, research. I tried all manor of brands (Saucony, New Balance, Mizuno, Asics to name but a few) and kept coming back to Brooks as the most comfortable. 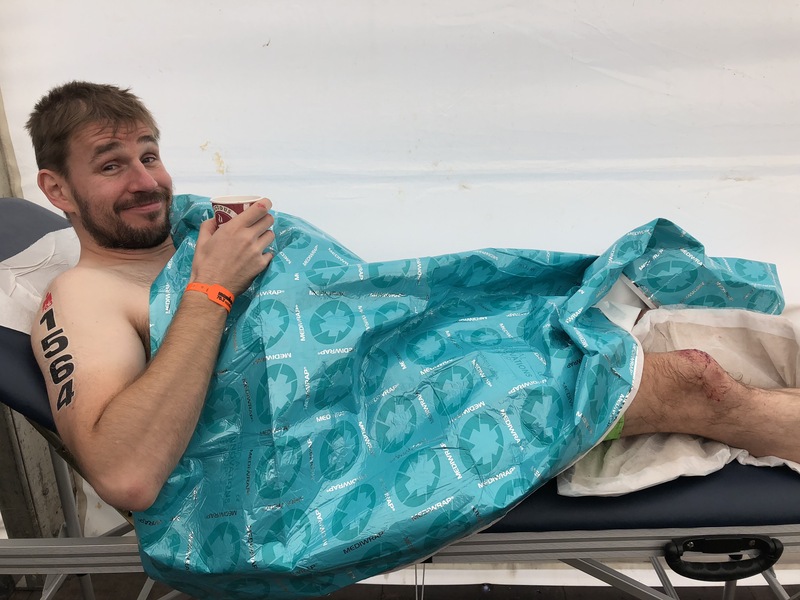 I also kept putting my ongoing calf problems down to other factors. My ongoing injury problems are well documented on here. For over 3 years I have suffered with problems in both calfs. 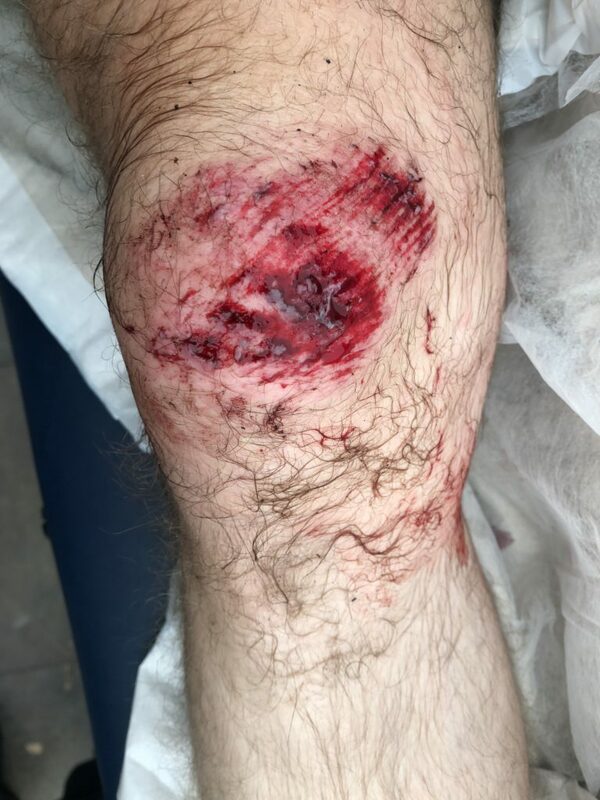 I’ve seen physiotherapists, had regular sports massages, tried all manor of exercises and stretches even wearing calf guards semi permanently but the problem remains. Since I have started working with a coach I have spent a great deal more time on Strength and Conditioning. Particularly this workout I found on Youtube, she has loads of other great workouts too so I’m sure you’ll find something that works for you! Quite by accident, whilst on holiday in Somerset, I found a pair of Skechers reduced to clear in a sports shop. Whilst my wife was buying a few things I decided to try them on. First impressions were almost of disbelief. They are so light, but at the same time so comfortable! 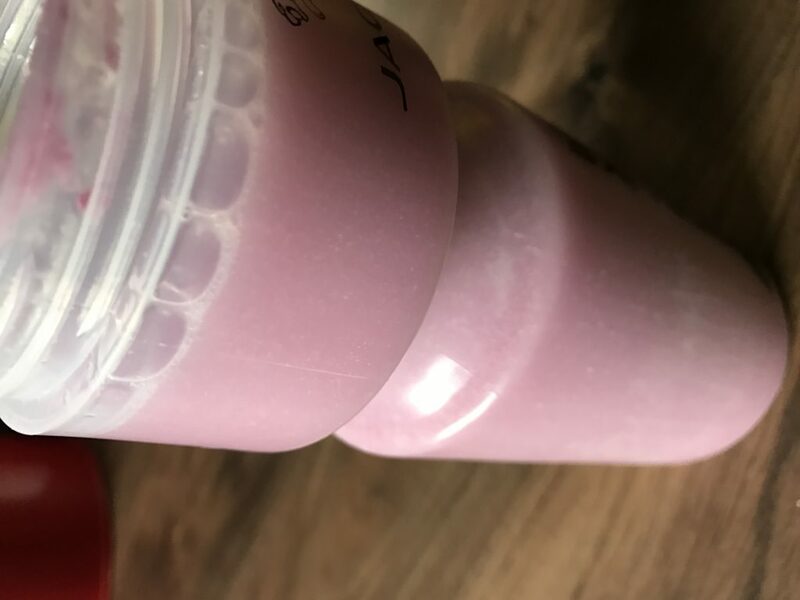 (220g vs 290g). I had often noticed a bit of a hard spot on my big toe with the Brooks but hadn’t really taken any notice of it. Clearly Skechers just suit my feet, more so than any other shoe i’ve worn. The cushioning is more inline with the Launch 2 (277g) that I used for races. I didn’t buy them there and then as I was concerned about the low drop. I discussed it later with coach and we decided on a plan to introduce them steadily. So I went back and bought them the next day, a steal at £40! It’s early days, but my initial thoughts haven’t changed. They really are crazy light. There is less cushioning than with the Ghosts, but that’s not too surprising. From asking an expert, it seems that the Forza is the shoe I may need to add to my repertoire. Other things of note, in no particular order; I find them noisier when running though this has eased off since i’ve got more used to them. I love the little ‘Quick Fit’ loop at the back. Did I mention how light they are? The colour is awesome, though I may have to get the latest model too! The knitted front feels literally like a glove. 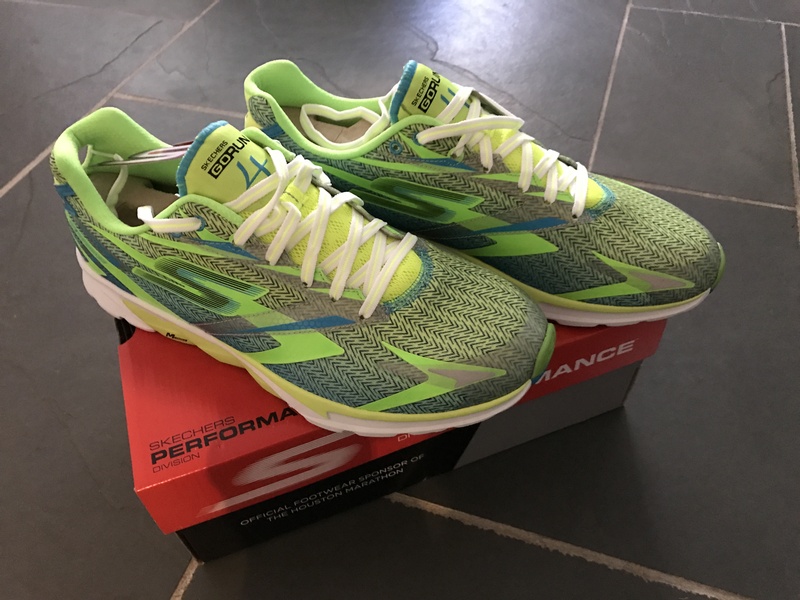 Oh and they’re fast… I’ve only been running short runs at the moment but they feel very quick, they encourage a quick ground transition (Garmin agrees with me!) So things bode well for the future. 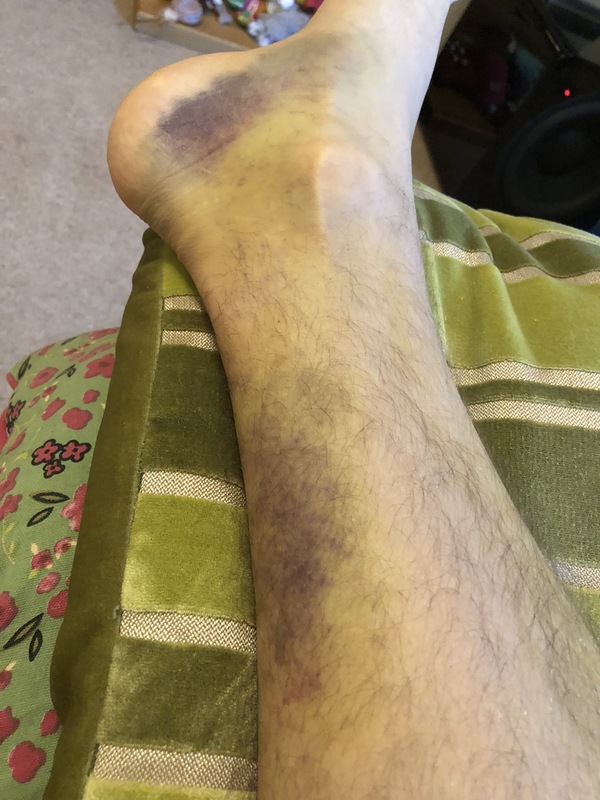 I even forgot to take my calf guards with me one day and was fine – back to the psychology I guess, do I or don’t I need them!? I guess in summary. Don’t be afraid to change things but do try every single shoe on, you’ll know when you’ve found the one that fits you. Fingers crossed this really is it this time and I can move on to racing!!! Lost Mojo, Saved by a Coach! 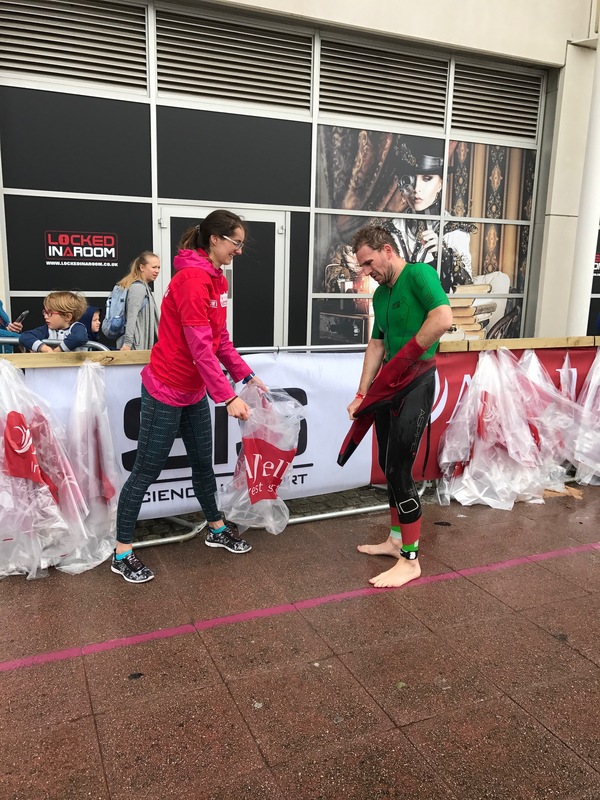 I can put this down to two things: the emotional surroundings to Ironman 70.3 Staffordshire and the consequential ending of my training plan. I’m sure there’s a fancy word for it but I’ve concluded that I need structure. With nothing nagging me and no future plan I have found myself meandering aimlessly around training sessions. I’ve not really ridden my bike. 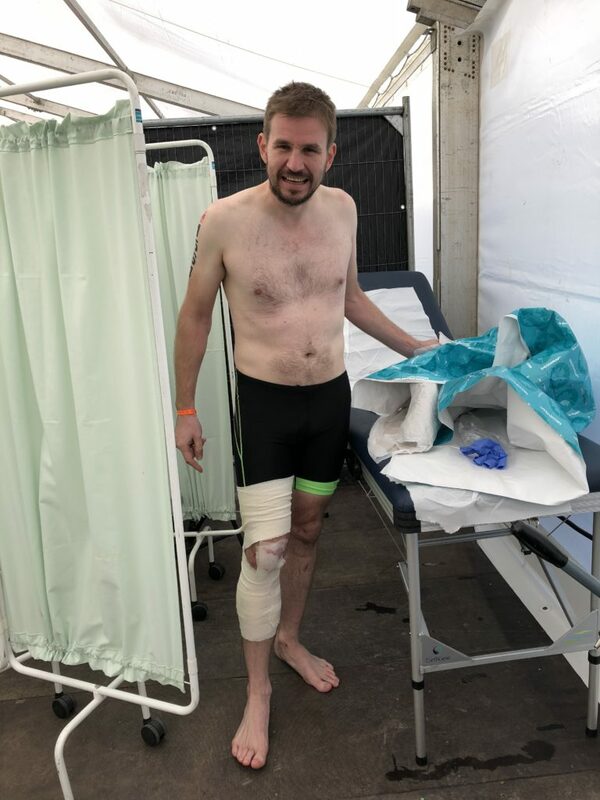 I’ve done a few runs, but had calf issues again. The only discipline I’ve actually stuck to with any consistency is swimming, predominantly because it’s timetabled at the gym! 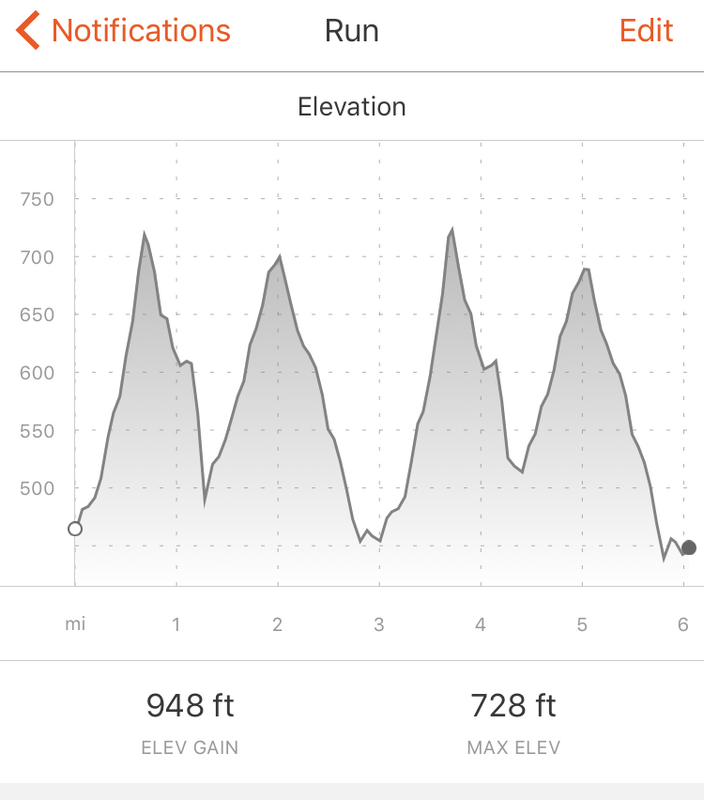 I had a training plan that I purchased from Trainingpeaks and whilst it was a little generic it did at least crack me in to shape. I was also using their Premium service to get further detail on my sessions. 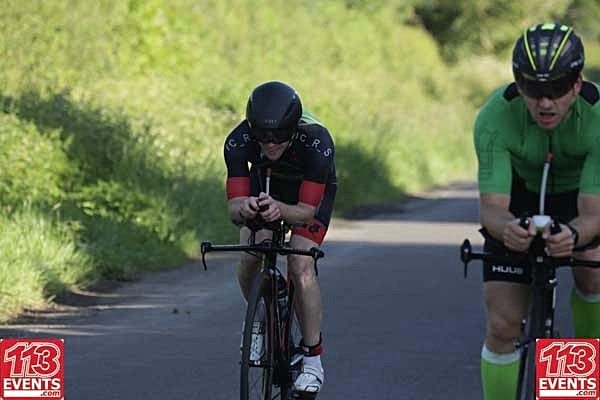 Despite things being against me, I was actually proud of the performance at Staffordshire, particularly as I was self motivated and self trained. When it came to planning ahead for the next year I returned to Trainingpeaks. It was then that I took a step back and examined what I was trying to achieve. 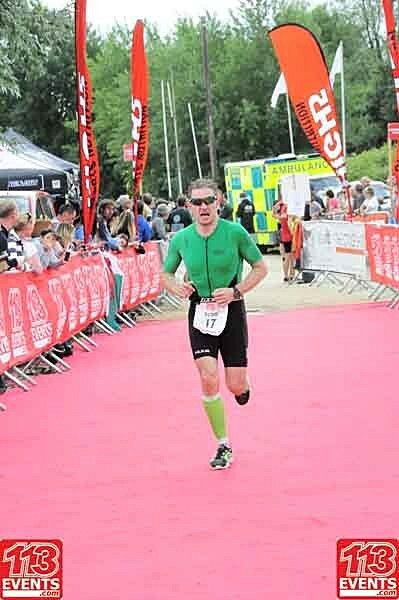 I had ideas of stepping up to Ironman but feel that I have ‘unfinished business’ with the 70.3 distance. 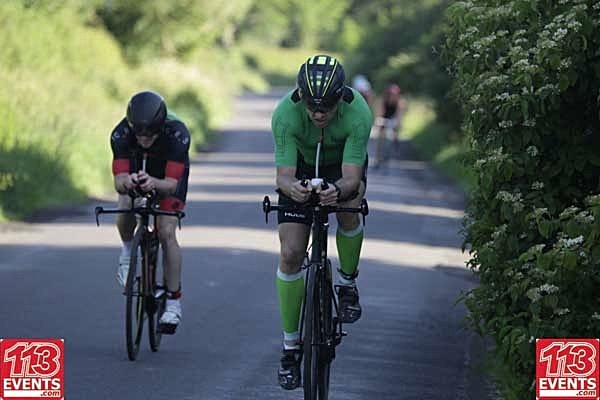 Re-scheduling the plan I already have was another option, but with Ironman 70.3 Weymouth being the targeted ‘A Race’ for the year it would leave me lacking for a while as it’s a 26 week plan. 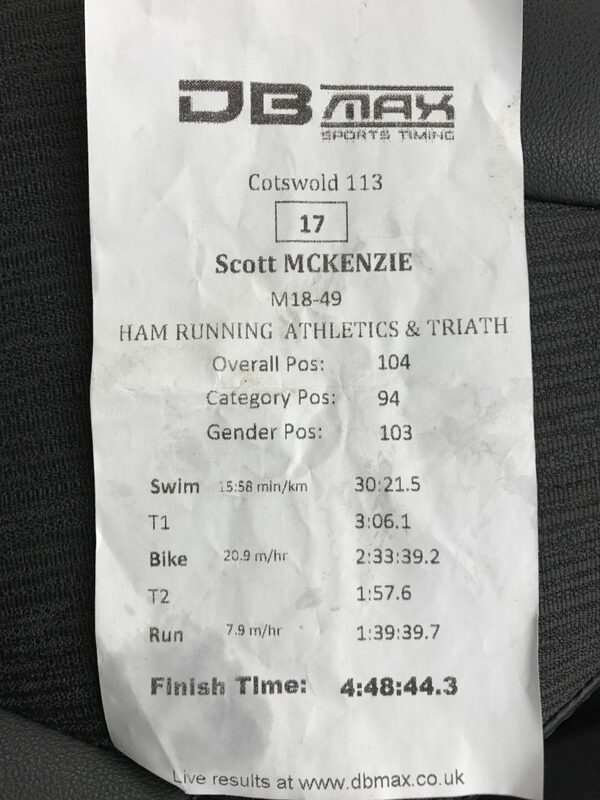 I then considered other races that I may wish to do and looked at adding a Sprint and an Olympic distance training plan and stacking them up. After I reviewed my options, I kept coming back to the idea of something a little more customised. Having done a few shorter events last year, my plan was far from optimised. I also lacked the ability to chat things through, ask questions, review how sessions had been going. When I had reviewed the costs, admittedly the non-coached option was pretty much just one-off payments, there wasn’t too much in it. So the coach hunt began. I’ve been looking into this for a while but found that coaches range from some sort of generic online thing for £20 a month, to well over £200 for current pro’s. My budget put me very much nearer the cheaper end. Each have their own peripheral benefits, the more you pay, the more you get – such as Premium Trainingpeaks thrown in. The biggest difference though seemed to be around communication and frequency of session planning. 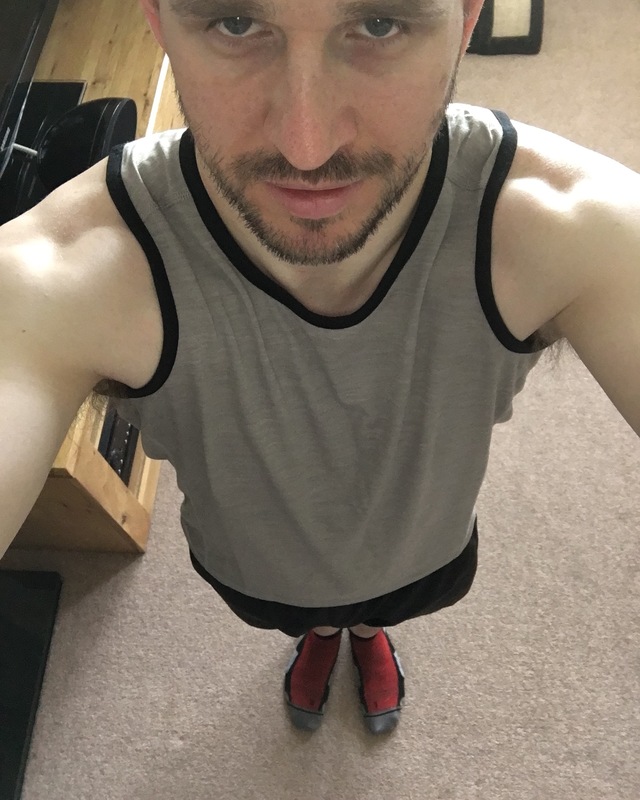 Most coaches I found offered a multi tier system, the ‘Bronze’ package gets you a monthly plan, a couple of emails a week and a monthly 30 minute Skype chat (or similar). The ‘Gold’ package would get you weekly planning, as many phone calls as you wanted and power based training but was typically twice (or more!) the price of the cheapest package. After a while, I realised this was silly, I need structure but I also like to understand what I’m doing, why i’m doing it etc. After a bad session, with my fixed plan, that was it, I just had to deal with it. 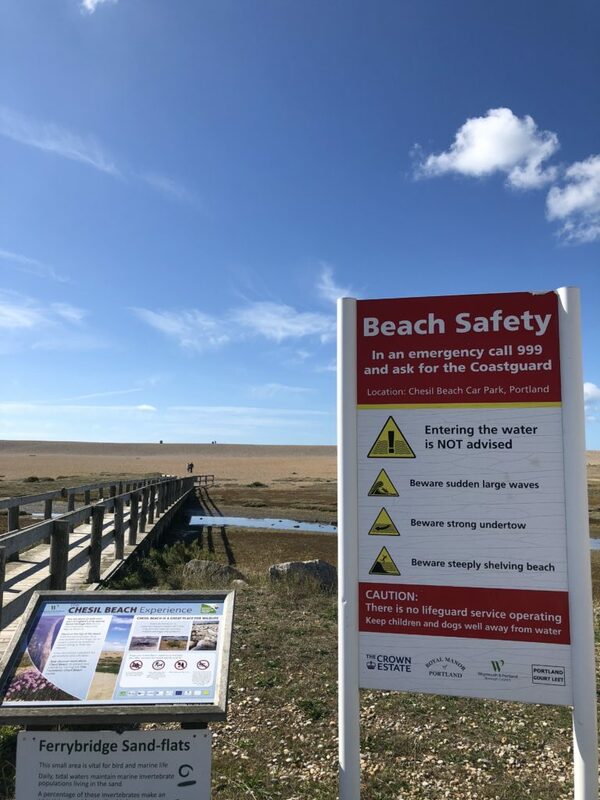 I’d like to be able to chat that through with a coach, but my planned budget covered ‘an email a week with a response in 48 hours’ – do i want to use that to question why i felt like a drowning sea lion?? Easy answer, no. As it turns out, I needn’t have looked too far. My swim coach also happens to be a BTF Level 3 coach. We chatted about a few things and over the course of a few weeks it became clear that the right choice was literally staring me in the face! We know each other, we get along (he may disagree), we have a laugh, he knows what’s wrong with my swimming (everything). Most importantly, there are no restrictions on communication and he lives locally! So, here’s to a coached future, fingers crossed it works for me, but welcome on board Coach Keenie! Thanks for having me.